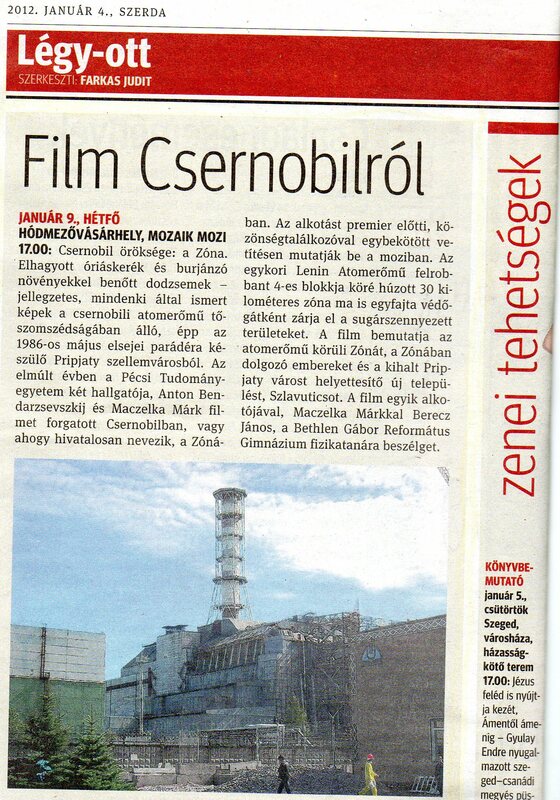 We have appeared in Press several times because of the Chernobyl film and journey to Chernobyl. 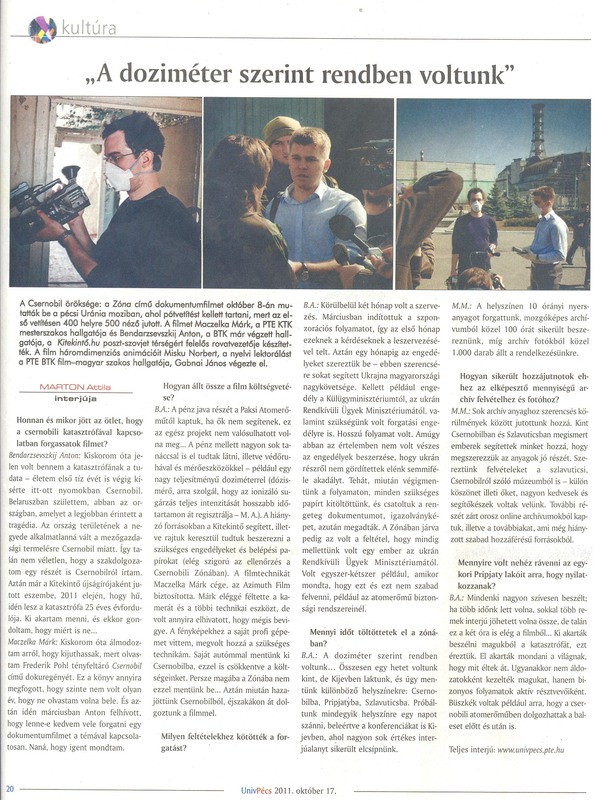 Unfortunately all of these are in Hungarian, but of course we are opened for an interviews for foreign media as well. 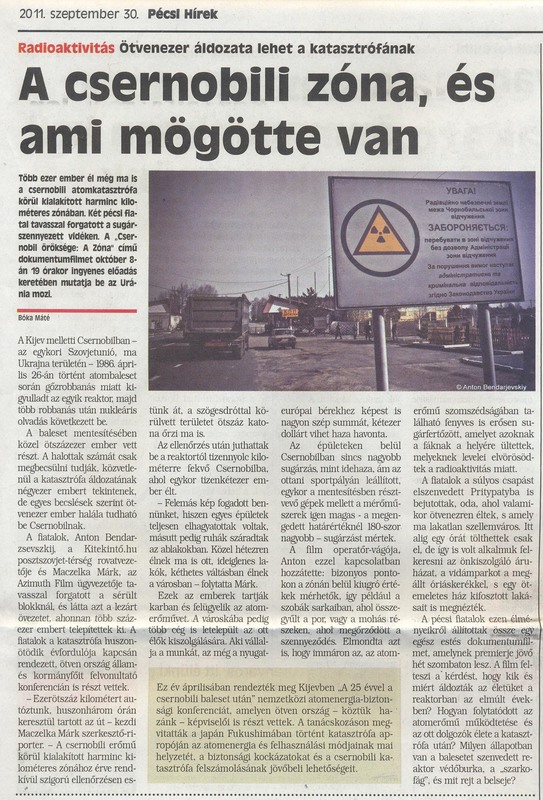 PécsTV - 2011. április 22. 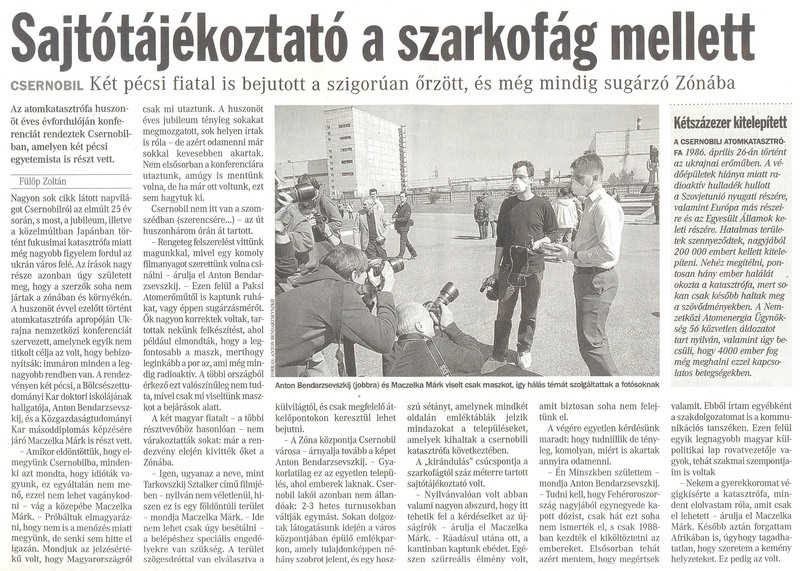 Új Dunántúli Napló nyomtatott verzió - 2011. május 21.